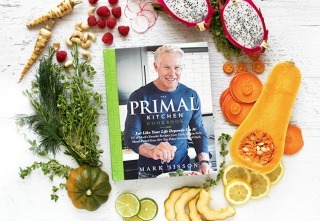 Announcing The Primal Kitchen Cookbook! 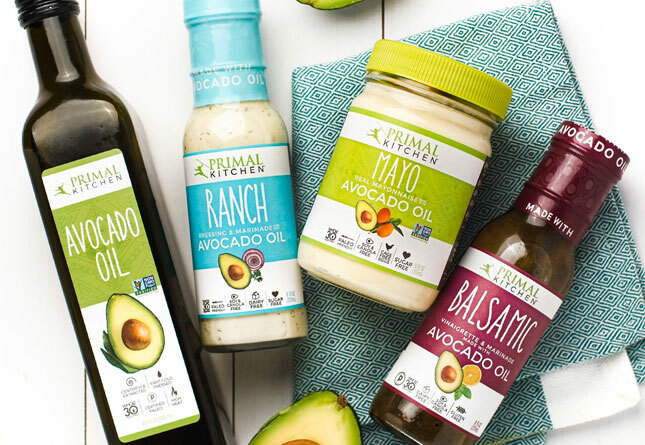 Two years ago in 2015, I founded Primal Kitchen® because I had a vision—a vision that extended the nutrition philosophy I’d honed with the help of this blog for (then) nearly decade. 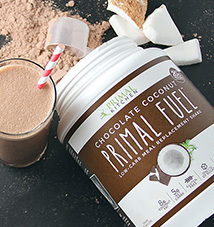 I wanted to make truly healthy—Primal—eating easier and more convenient. 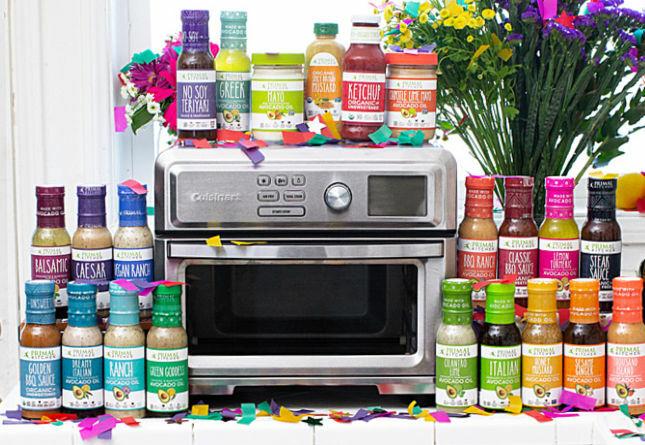 I wanted to create the kinds of products that I would use in my own kitchen—and offer them to others with the same health goals and the same love of amazing food. Since then, I’ve introduced more than a dozen products that do just that—some of them (I’m very proud to say) award-winning. 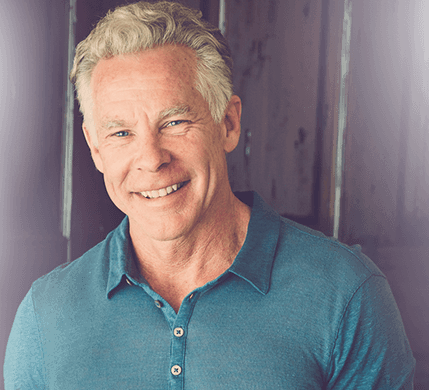 And I’ve had a tremendous team behind this vision the whole time, helping me offer the very best in taste and nutrition—and doing the work of making Primal Kitchen choices available literally nationwide. Today I get to announce a project that’s evolved within that Primal Kitchen endeavor—an incredible collaboration among my remarkable staff, long-time friends, and even my own children: The Primal Kitchen Cookbook. In this collection, you’ll find recipes from more than 50 chefs, authors, and innovators within the Primal, paleo, and wellness communities (including a few from yours truly). 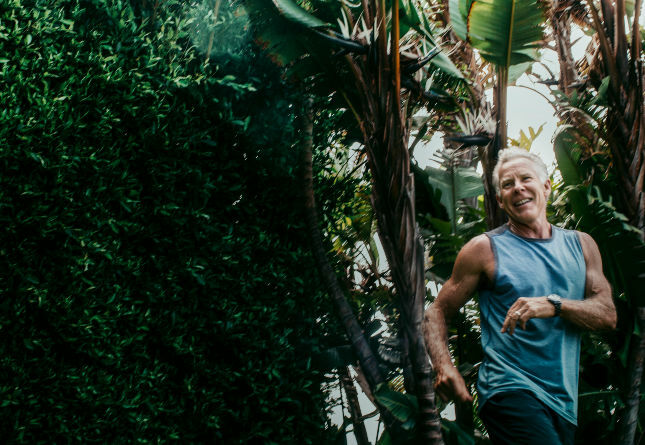 It’s too many to list here, but—trust me—they’re all the best of the best, including Melissa Hartwig, Robb Wolf, Chris Kresser, Sarah Fragoso, Tony Horton, Laird Hamilton, Cassy Joy Garcia, Kelly Brozyna, Mary Shenouda, and many more. I’m grateful to every one of them for offering their talent to this project. In the back of the book, there’s a full biography section so you can get to know each contributor and the websites and publications where you can connect with them further. I hope the list opens new doors for you. I swear, I’ve never been so inspired by a book’s appendix…. But let’s get to the real meat of the book, shall we—the 131 extraordinary recipes themselves. Here’s where it’s at, folks. I’m talking big breakfasts, Primal Kitchen Restaurant featured smoothies, nutrient-dense salads and lunches, succulent dinner entrees, rich desserts, tempting small bites, and various sauces and dressings. I’d take up your entire day if I talked about all of the recipes and what I love about them, but let me throw just a few highlights out there…. Anyone ready to eat yet…? Each recipe offers a macronutrient assessment and is labeled for specific dietary interests, including Autoimmune Protocol, dairy free, ketogentic, no sugar added, vegan, and Whole30®. All are low carb, gluten free, and hand-picked from my favorites. 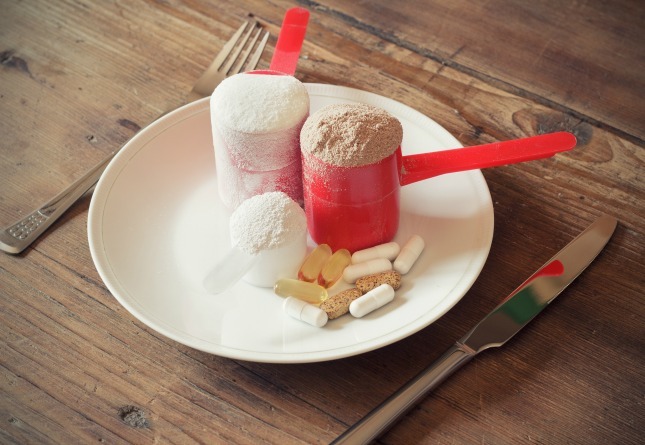 Want motivation for your Primal eating? These recipes deliver, no matter what your dietary interest or personal taste. Per Mark’s Daily Apple tradition, I’m offering my MDA readers a special deal on The Primal Kitchen Cookbook unavailable anywhere else. 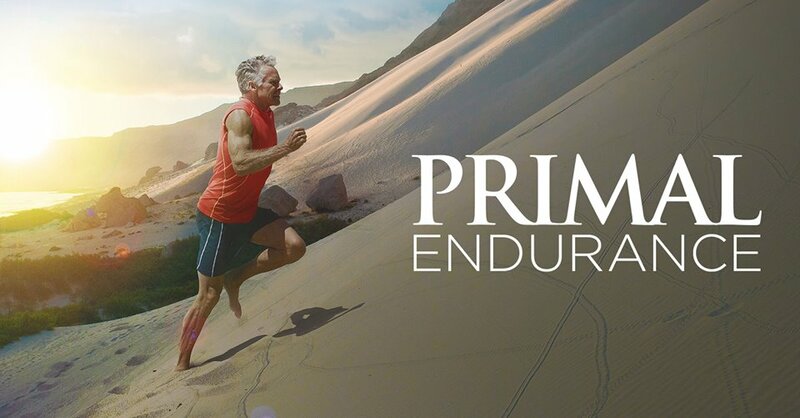 I’ve personally signed 500 books for those first 500 orders, and for all PrimalBlueprint.com purchases, I’m throwing in a FREE box of PRIMAL KITCHEN® Coconut Cashew Bars. One deal per person. Just use the code PKCOOKBOOK at checkout. But hurry! This deal is done June 21st at midnight PDT. For those who would prefer to purchase on Amazon, know that the book is ready and available there, too, but the MDA deal applies to PrimalBlueprint.com orders only. Be sure to leave a review (on either/both Amazon and PB.com) if you like the book! That’s it, folks. 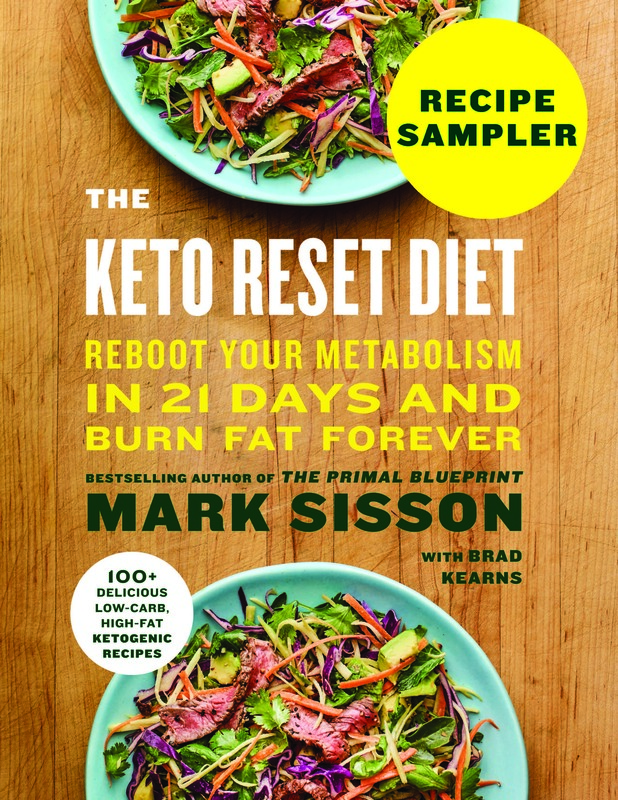 I’m so excited for this one—for my staff and for all the friends of MDA and Primal Kitchen who contributed (as well as their fans). I love the Primal paleo community, and this cookbook reflects the amazing spirit of collaboration and the unmatched commitment to genuine thriving that this community is built on. Thanks for reading today and for all your support over the years, everybody. Let me know what you think! Ordered! Haven’t tried the bars yet, so bonus. My wife bought me the book at WholeFoods here in Canada this weekend. Wish I could of got the free coconut cashew bars. Lol. 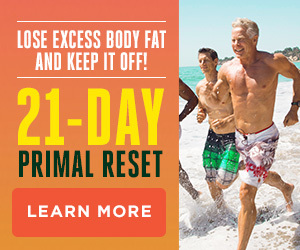 We just finished Primal Blueprint and it’s changing our lives. The cookbook is an amazing fit!! Mark does everything first class, it looks fantastic. I want an MDA primal restaurant near my home to prepare these dishes FOR me LOL. Hi Mark, is this available for International MDA readers, specifically Australia? Amanda, thanks for your question. We’ll definitely ship anywhere. Whoa! The photos have me hooked. I’m definitely buying this! I’ve only been here for a couple of months, but this comes at a good time. I’ve needed a shot of motivation and some new ideas for what to eat. So, so glad to see this today!! I bought this a couple weeks ago when it popped up on Amazon. Guess I couldn’t wait! 🙂 Have to say this is my favorite primal cookbook already. (It already has the dog-eared pages and cooking stains to prove it!) Love that it offers all the recipes for dressings and mayo! The wife and I just ordered! The coconut cashew bars are my favorite, so loved the deal. Thanks, Mark and company! What a great video! Now I just can’t wait for my copy to arrive. Lovely cookbook…. Are measures in both U.S. customary and metric? Is net carbs pre-computed for the macronutrients?